Are your teeth chipped, stained, worn, or even out of ideal alignment? If so, you probably don’t feel your best about showing your smile to others. The good news is that cosmetic dentistry has solutions that can address all of these issues and restore your smile’s naturally appealing look. Isaac Menasha, DDS’s Linden cosmetic dental office proudly provides durable and beautiful cosmetic dental solutions so you can feel good about your smile again. Dr. Menasha has been practicing dentistry for over a decade. His enthusiasm, passion, and experience in the dental field has helped his patients regain their lost self-esteem caused by damaged teeth and deteriorating smiles. His Linden dental office offers many advanced options for cosmetic concerns, such as minimal-prep veneers, clear braces, and total overhauls with smile makeover treatments. No matter what issue you’d like to correct, Dr. Menasha’s friendly dental team can help accommodate your needs for care. Getting traditional veneers involves buffing some tooth enamel to accommodate the thickness of the veneer. After this preparation, molds are taken of your teeth so that Dr. Menasha can send them to a trusted local dental lab to have your treatment specially created to fit your smile. At your second appointment, your veneers are applied so you can leave our office with a brand-new smile. For patients who do not wish to undergo several treatments to correct an array of cosmetic issues, veneers from our Linden dental office can prove to be an excellent solution. With proper care, your new smile with last for decades. Lumineers® are a widely-recognized brand of porcelain veneers that require less tooth-preparation and still deliver exceptional results. Lumineers® are the only brand of veneers that can be removed to display your in-tact natural smile, should you prefer. Both Lumineers® and veneers are custom-made from strong and beautiful porcelain to blend seamlessly with your existing teeth to create an improved smile aesthetic. We can even restore previous dental work, such as dental implant crowns if you are experiencing wear and tear and would like your smile to look more uniform. If you are looking to regain a healthy and beautiful smile, our Linden dental office can help! Dr. Menasha’s entire team is ready with warm and welcoming service to help you regain the confidence that comes with a restored smile. 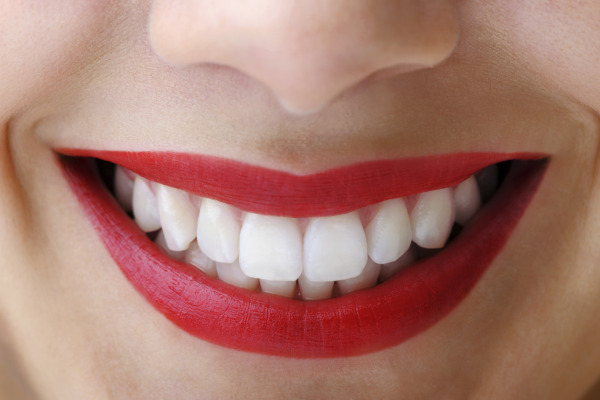 Contact us today to set up your appointment for cosmetic dentistry in Linden, NJ. Dr. Menasha is one of THE BEST dentists I’ve ever gone to. He’s professional, friendly, helpful and very personable, and most of all, knows his craft well. I always feel very welcome when I go for my appointments. I’ve gone to other dentists in the past for emergency or even regular treatment and still had problems with the work done afterwards. When Dr. Menasha works on my teeth, they feel so comfortable and just about pain free with no subsequent complications arising; he makes them feel like a million dollars…LOL. He is also very respectful at honoring appointment times. I’ve never had to wait any length of time before being seen. Overall, I recommend anyone to have Dr. Menasha as his/her dentist and after the first exam, you wouldn’t want to go to anyone else! My experience was "Awesome"!! I loved the location, the customer service and the prices were awesome as well. As soon as i arrived, I was taken care of. The facility was clean and the staff was very warm and inviting and what amazed me the most was that the dentist was able to determine the problem immediately and give me the resolve in which I sought. Thanks again for all your help.